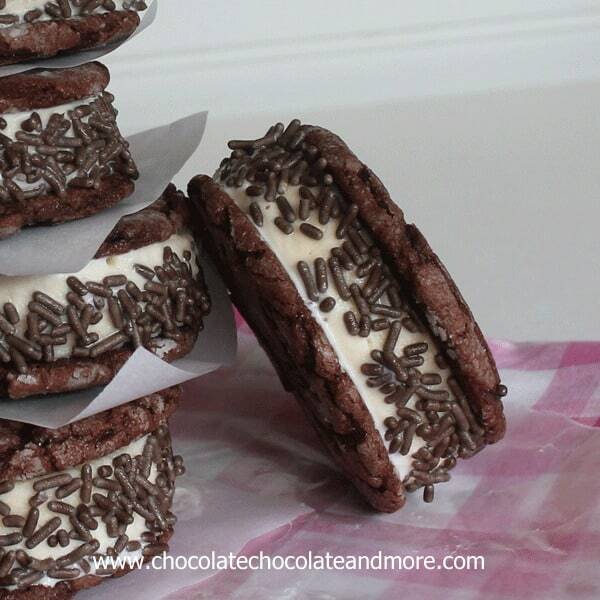 Easy Ice Cream Sandwiches made with homemade Chocolate Cookies - Chocolate Chocolate and More! 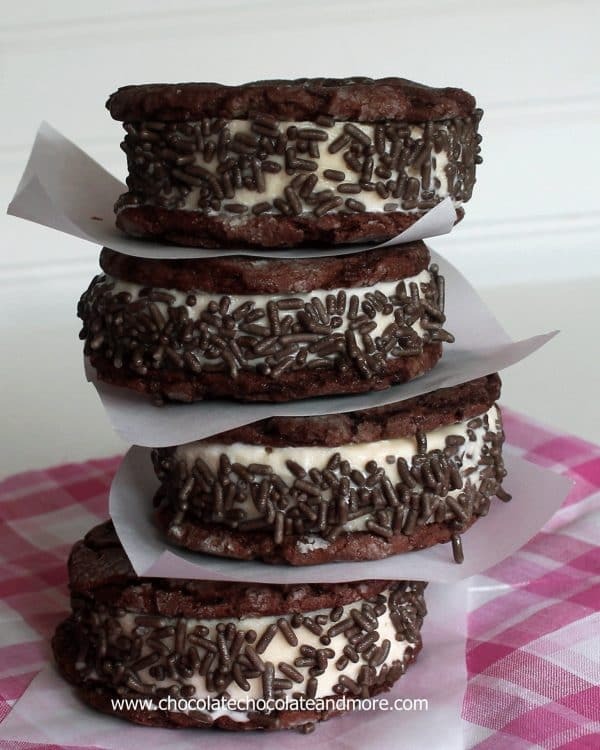 Homemade Ice Cream Sandwiches, better than anything you can buy from the store, especially when the cookie is made from scratch! You know that old saying, when life gives you lemons, make lemonade? Well, I made a Chocolate Cookie recipe wrong and so I made these easy Ice Cream sandwiches. Best mistake I ever made. The girls are back doing their summer baking project again this year. They’ve figured out it’s a great way to make money for the extra things they might need. This year, Cassie’s using her money for Band Camp and Grace will use her’s to purchase her instrument for band. I like it because it’s something we can do together, it get’s us out and about once a week. The businesses we go to love it and actually make requests for cookies and above all, it’s teaching them to work for what they want or need. Our local bank is one of their best customers. All year they ask when the girls will be selling again. Those ladies love the Cake Mix Cookies. I think because it’s so easy for the girls to make different flavors. If you can find cake mix on sale, it’s a pretty good profit too. I don’t know what I was thinking but instead of verifying the ingredients with the girls, I told them the recipe from memory. When the cookies came out of the oven they were large flat disks. Still soft and tasty, just not what the bank ladies would be expecting. After baking up the second tray and eating 2 or 3 cookies with a glass of milk, we realized these would be perfect for ice cream sandwiches. And they were. Cassie and I created an assembly line to put them together and the dog was right there at our feet to clean up any sprinkles that made it to the floor. These are great with just vanilla Ice Cream. The perfect balance of chocolate and vanilla. 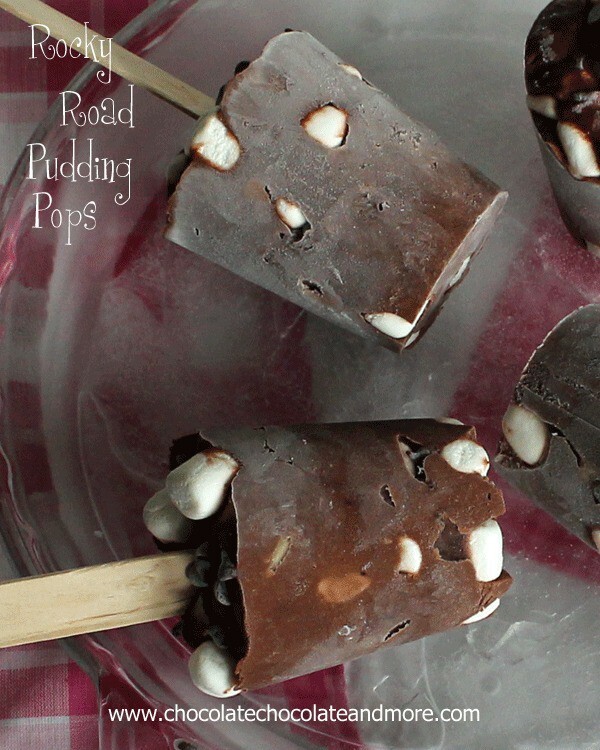 Try them with Coffee Ice Cream or Peanut Butter Ice Cream to take them to the next level! Combine cake mix, eggs, oil and powdered sugar to form dough. Roll dough into 1 inch balls and place on parchment lined baking sheet. Bake in preheated 350 degree oven for 10 minutes. Remove from oven and let col on pan for 10 minutes before removing to racks to cool completely. Line a 9x13 pan with plastic wrap. Remove ice cream from freezer and let sit for 15-20 minutes on counter to soften. Scoop enough ice cream into pan to spread to about 3/4 to 1 inch thick. Place pan in freezer to firm up. When ready to assemble sandwiches, using a round cookie cutter or a large glass, cut ice cream to size of your cookies. Working quickly, sandwich ice cream circles between to cookies then sprinkle sides with sprinkles. Place sandwiches on a tray and return to freezer until ready to serve. 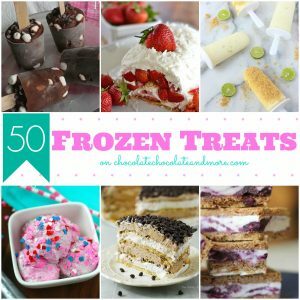 Looking for more Ice Cream Fun? I love what you said about your dog being there to clean up the crumbs- my puppy just discovered that I am a messy baker and is always at my feet when I bake to scour the ground for crumbs when I bake! Your summer baking project sounds like a wonderful idea and I love when you can turn mistakes into something amazing! These look so good Joan!!! LOVE!! 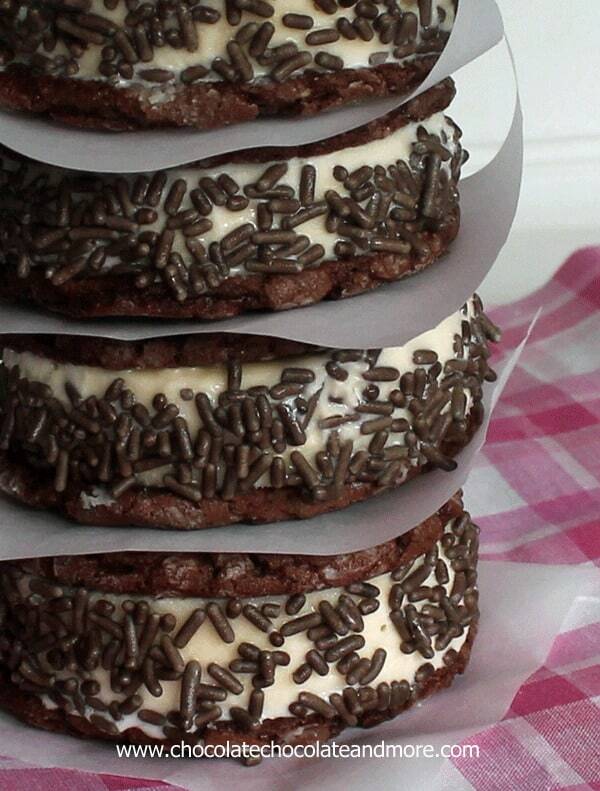 i can’t help it, I love ice cream sandwiches! Oh my, these looks gorgeous…..love the sprinkles!! 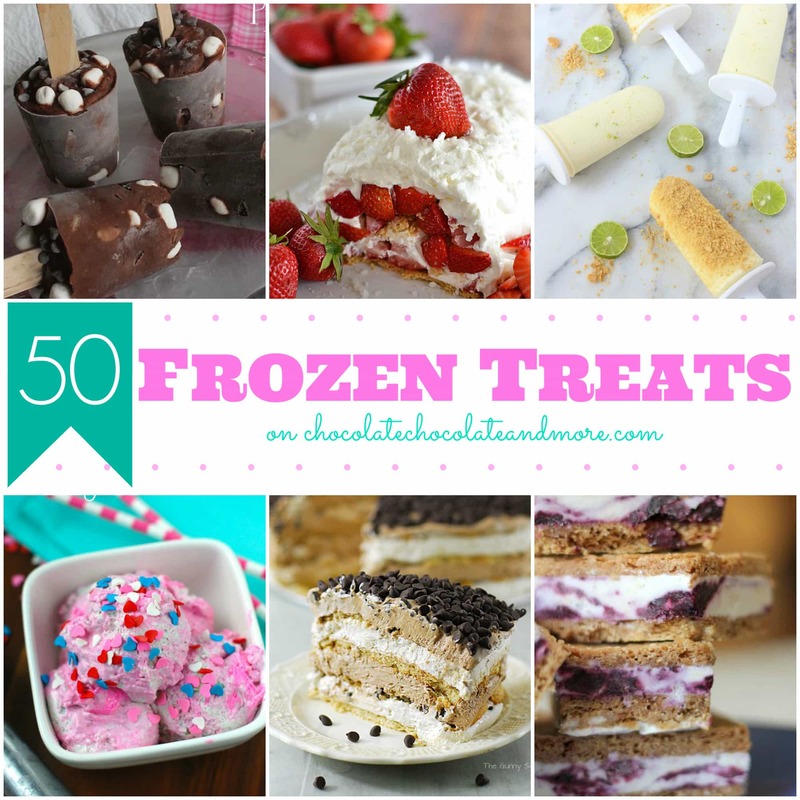 One of my favorite frozen treats are Ice Cream Sandwiches! These look great, Joan! Pinned and sharing on Facebook tomorrow. Thanks for sharing at Marvelous Mondays! 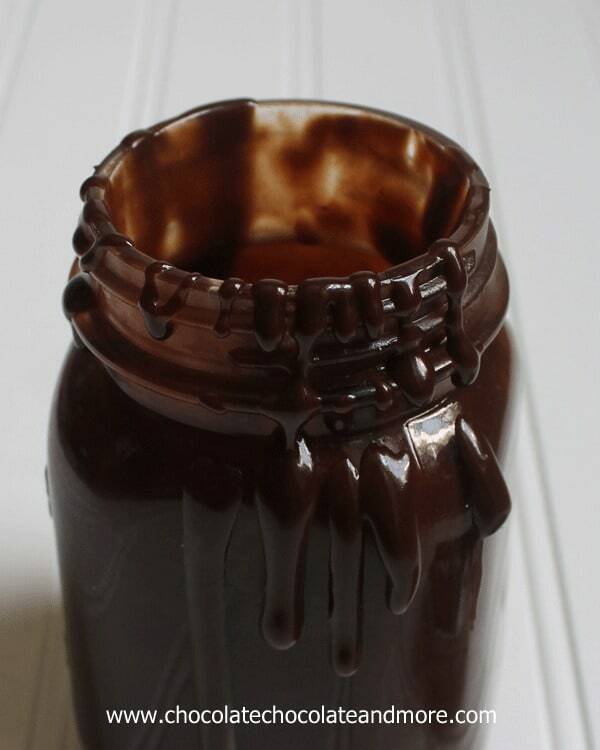 Perfect for the summer, love that it uses a cake mix…simple but delish!! So very perfect for summer! Thanks for linking up with What’s Cookin’ Wednesday!! These look so yummy! 🙂 Thank you so much for linking up with me this week at Tasty Tuesdays! I’ve pinned this & shared it with my followers! Please be sure to stop back by the party and check out some of the other links! I’ve just posted my Tasty Tuesdays link party on my blog & wanted to tell you that this recipe has been featured! You can find the feature here: http://anyonitanibbles.blogspot.co.uk/2013/07/cute-clever-treats-for-kids-paleo-kids-snacks.html Don’t forget to grab our features button and link up again! My kids and husband will kiss the ground I walk on if I made these at home! I’m sure everyone around you feels the same way! These are absolutely fantastic! Perfect for 4th of July parties! I read the ice cream sandwich recipe and the cake mix cookie recipes several times each, and I just can’t see what “mistake’ you made. They look identical. I have made cake mix cookies before, and they are not discs. Am I missing something? 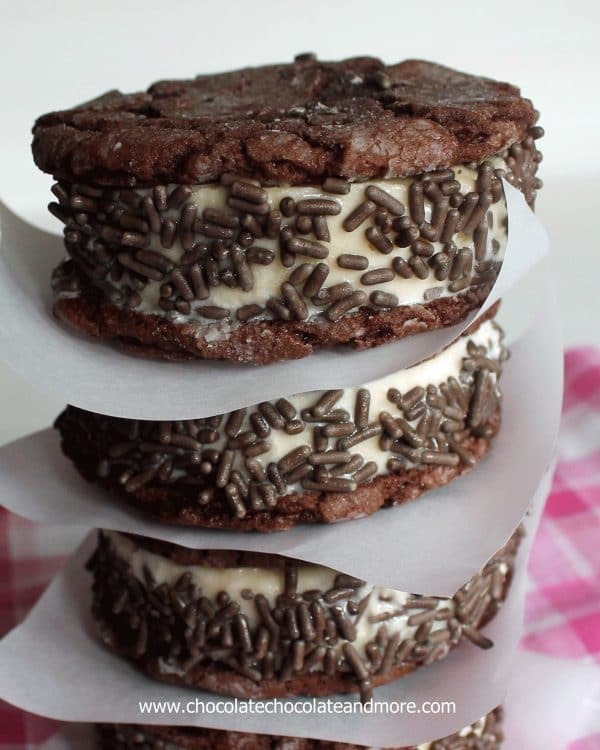 What did you do different for the ice cream sandwiches? 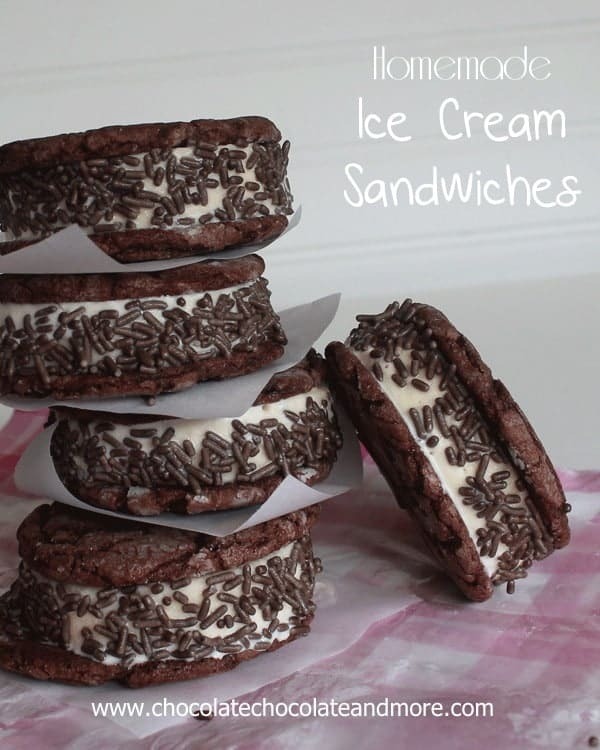 I love ice cream sandwiches, and would love to try some homemade ones! In this recipe the powdered sugar is mixed into the batter instead of just rolling the cookie dough balls in the powdered sugar after preparing it. The extra sugar “melts” the cookies, making them flatter and perfect for ice cream sandwiches. 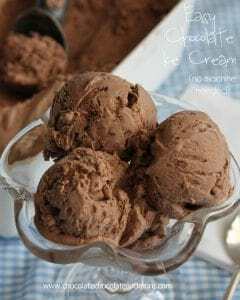 I need to make these soon, they will be a huge hit with my family!!! Would this work with all cake mix flavors? I’m not a big fan of devils food. Yes, it should work with almost any cake flavor. I’ve made them with a basic yellow cake mix, red velvet and a spice cake mix. All turned out delicious!